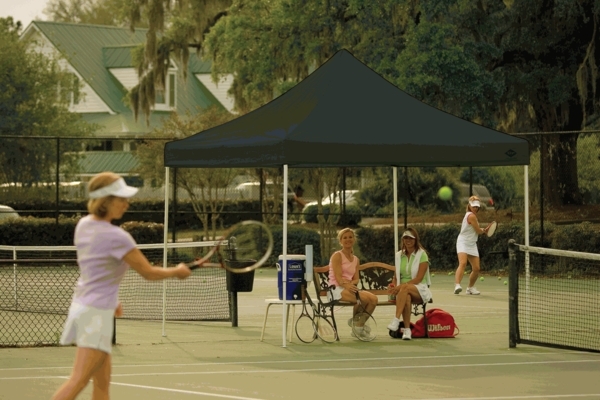 This black pop up canopy tent is a great choice if you're looking for a tent that easily travels. Whether you'll be sitting by the sidelines or enjoying a family cookout at a park, you can take this pop up canopy tent along for shade. The open top frame is designed to give plenty of head room, so you can stand under the tent without ducking or slouching. 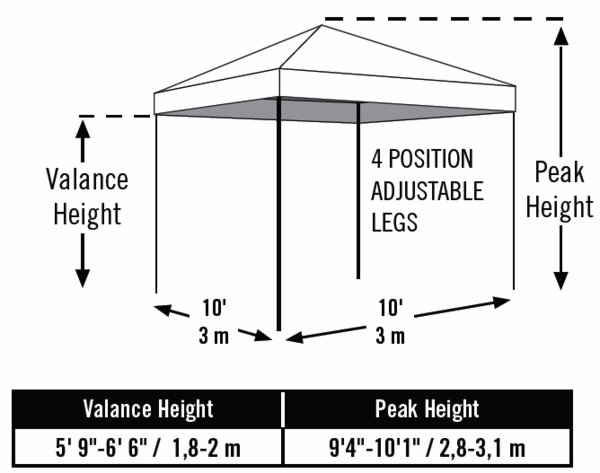 The canopy top of this tent is made of polyester and has been UV treated. The canopy top has also been treating to prevent fade and aging as well as funguses. The canopy top is also seam-sealed with waterproof tape, so you can still enjoy the soccer game even when it's raining. A wheeled storage bag makes this pop up tent easy to transport. What is the closed height of this canopy in inches? I want it to fit in the trunk of a Chevelle and a Corvette. The box size is 54.5 x 10 x 9.3 in. for the ShelterLogic 10x10. Which canopy would you buy for cars shows and tailgating? Any of our 10 x 10 pop up canopies will work for your use. The one you are viewing is an excellent choice. It weighs approximately 60 pounds.